Put the power of the "V" in your technology! How can Davidson Business Technologies add value to your business? We leverage our extensive experience of more than 25 years to develop technology solutions tailored to the strategic needs of your business. We don't take a short-sighted approach when addressing any of the technology needs of our clients. When you retain Davidson Business Technologies we'll assess your technology needs based on your strategic goals. We'll work to integrate a solution that enhances your productivity and your system reliability. Our philosophy is that a business computer or network should be "invisible"... working reliably for you, so you can focus on what is important to you... conducting business. Our services include hardware and software installations, Windows, Mac OS X, and Linux operating systems, remote diagnostics, virtual server environments, wired and wireless networking, virus remediation, data recovery, business continuity planning, web presence, and strategic technology consultation. We offer tiered rates for businesses and non-profits. Find out for yourself why many businesses and entrepreneurs are becoming loyal clients. We are now offering world-class web hosting services at very competitve rates among our other cloud services: domain names, SSL certificates, email accounts, and data backup. 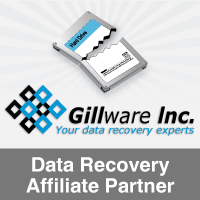 Additionally, we have now added 2nd tier support for your data recovery needs. If your hard drive has mechanically failed you can now get a free evaluation to determine the recoverability of your data. To avoid data disasters we have online backup services through our affiliate I-Drive. Being proactive can save your business. The "V". A universal symbol for victory. Put the power of the "V" to work for your business today!